He has kun fu panda 2 for them. It’s A Kung Fu Panda 2 DVD! I think my favorite character would have to be Po! The surprise is the Kung Fu Panda dvd release. My favorite is Monkey with Jackie Chan’s voice. He had a Kung Fu Panda 2 DVD on BluRay. He has the Kung Fu Panda 2 DVD. (1) Mr. Hong’s secret is that Kung Fu Panda 2 is being released on Blu-ray featuring Dolby TrueHD 7.1. (2) My favorite character is Po’s Dad. 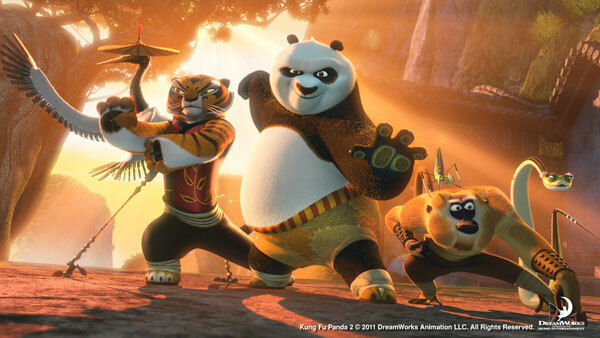 I love Kung Fu Panda because he is funny, cuddly, lovable, bodacious and awesome! He had the Kung Fu Panda 2 dvd. His surprise was the Kung Fu Panda 2 Blu Ray/DVD. He had the Kung Fu Panda on Blue Ray. He gives the children a copy of the DVD Kung Fu Panda 2. Po is my favorite character. The surprise was Kung Fu Panda 2 on Blu-Ray. My favorite Kung Fu Panda character is Tigress. "What surprise does Mr. Hong have for the children in the video?" Kung Fu Panda 2 on Blue Ray!! Po is our favorite, of course! He has a Kung Fu Panda 2 dvd for them! He surprises them with a Kung Fu Panda 2 DVD. Our favorite is Po and his fighting style! !